Cellulitis on the legs is fairly common. The problem is that its early signs mimic those of some other conditions that usually develop on the legs. While signs and symptoms may help tell one condition from another, a medical diagnosis is often necessary. The lower legs are perhaps the most common areas where cellulitis begins. This may be due to the fact that the lower legs are often exposed to bacteria. Lack of pressure in the blood and lymphatic fluid in the lower legs also contributes to the frequent occurrence of cellulitis in these areas. Cellulitis definition identifies it as a condition more than a disease. Staph bacteria strain is majorly responsible for the infection. However, a number of other bacteria types can also cause the infection. This includes “flesh-eating bacteria” that cause death to soft tissues by releasing toxins. Most bacterial infections respond well to antibiotics. There however has been a growing concern regarding increasing bacterial resistance to antibiotics. MRSA is a good example. It is a strain of staph bacteria that is resistant to some drugs commonly used to kill bacteria. 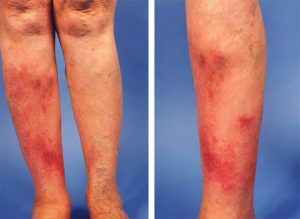 What causes cellulitis of the leg? So what causes cellulitis of the leg? For cellulitis to develop, bacteria must enter the skin, specifically the dermis and subcutaneous skin layers. These are known as the soft tissues. They are moist, warm and rich in nutrients required for bacterial proliferation. With all conditions favoring the bacteria, they rapidly divide. What happens next will depend on the type of bacteria. There are three types that commonly cause cellulitis of the leg. Streptococcus bacteria – this type is subdivided into several groups. Group A is perhaps responsible for most cellulitis cases that occur in the lower leg. Staphylococcus aureus – this is a sub-type of staph bacteria. It thrives on human skin and readily causes infection once inside the skin. 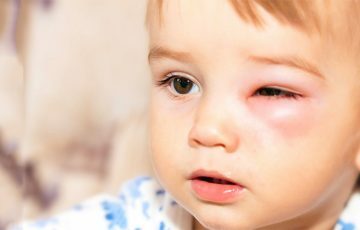 Haemophilus influenzae – in kids younger than three years old, this type is commonly responsible for cellulitis. It is a potentially dangerous strain, especially without treatment. Under normal circumstances, countless bacteria live on the skin without causing infection. Problems set in once a form of injury or trauma leaves a break on the skin. This allows bacteria to reach soft tissues where they can readily spread and cause infection. Risk factors that may encourage cellulitis on lower leg include the following. Injuries and sources of trauma on lower leg are very common. The possibilities include burns, abrasions, cuts, wounds, blisters and surgeries. All these can leave the skin open enough for bacteria to enter the skin. 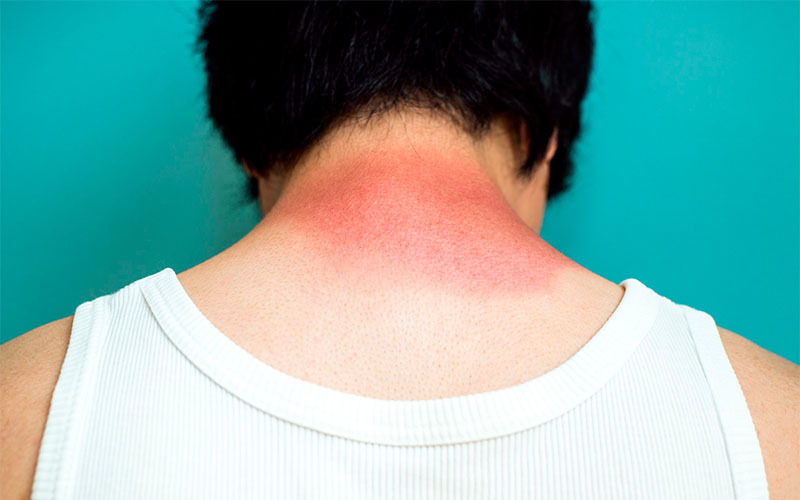 UV radiation, especially in fair skinned people, can also lead to skin damage. Blood from the heart travels a long distance before reaching the lower legs. When returning back to the heart, the blood is usually at much lower pressure. This leads to accumulation of blood in veins, mostly in obese individuals and pregnant women. Much similarly, lymphatic fluid may accumulate in lower legs in people with lymphedema. Swelling that results from such circulatory disorders sometimes leads to cracking of the skin, forming entry points for bacteria. Pus is a common sign of infection. It is also indicates that the immune system is working. Naturally, immune cells recognize bacteria and immediately start fighting them off. 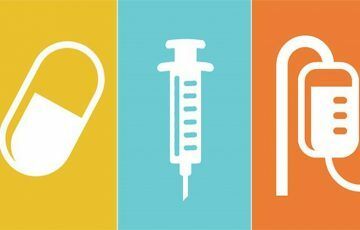 In people diagnosed with conditions such as HIV, cancer and diabetes, the immune system is usually weakened. This makes it easier for bacteria to proliferate more readily. Some medications such as corticosteroids and drugs used in chemotherapy may also compromise the immune system. 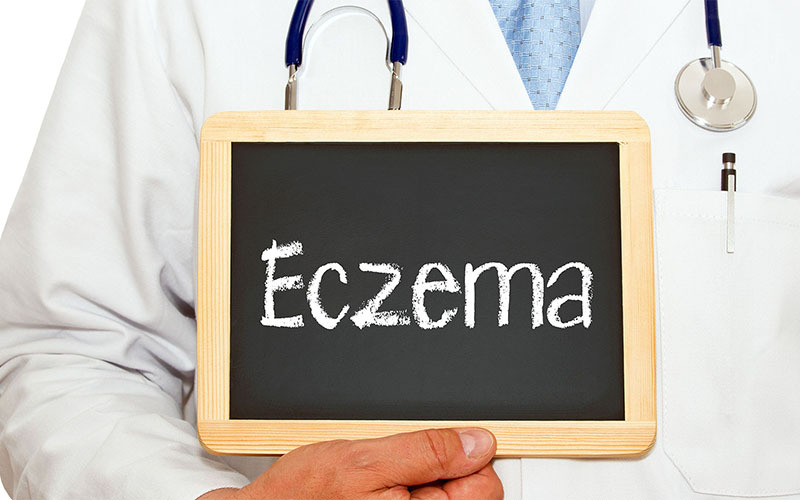 Eczema, psoriasis and chicken pox are good examples of skin conditions that may encourage cellulitis in the lower legs. All these conditions will in one way or another lead to skin damage. It has been observed that cellulitis of the lower legs tends to occur more in people who have previously been diagnosed with the same. It is important to note that risk factors are not guaranteed causes of a disease. Patients are always encouraged to check with their doctors for diagnosis. At first, the early signs will show up in a localized area, mostly around an injury. It is then that cellulitis is most treatable. Signs will start showing up systematically if no treatment is available or if conditions such as obesity are interfering with circulation. The signs may include vomiting, nausea and shock. Below are various conditions that may mimic cellulitis in the leg. This condition is caused by low pressure in the blood moving away from lower legs. It is common in older people. The most common signs are redness, swelling and scaling in the shin and ankles. It doesn’t spread or cause signs of infection even without treatment. Athlete’s foot is a fungal infection that appears on the skin, mostly in the lower legs. It is encouraged by humidity. 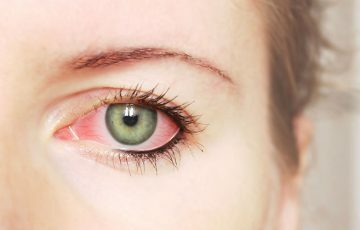 Affected areas appear brightly red but rarely swollen. The condition may not only mimic cellulitis but may also act as a risk factor. DVT develops when blood components clump, resulting in blood clot. It commonly occurs in older people or after walking for a long time. 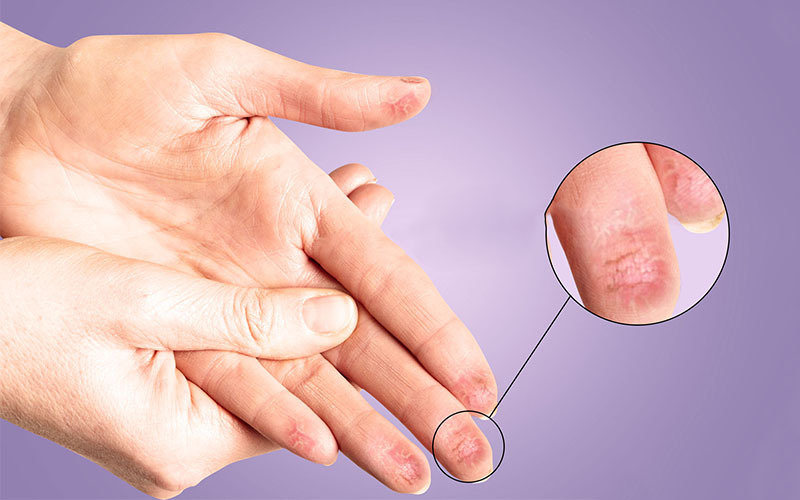 Common signs include pain, redness, tenderness and more visible veins near the skin. 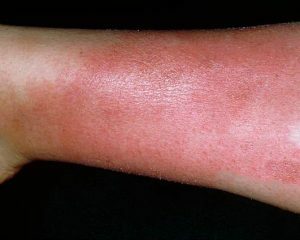 It doesn’t cause other symptoms of infection but may lead to increased body temperature which can mimic cellulitis fever. This condition causes swelling in the subcutaneous layer of the skin. Signs occur in both legs and mostly begin in the form of lightly colored red knots. 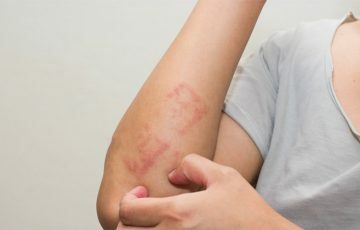 Although the condition doesn’t cause signs of infection, it may develop as a complication of an infection, thus possibility of symptoms such as fever. Lipodermatosclerosis arises in the fat tissue of the skin. Insufficient blood circulation in lower legs is the main cause. 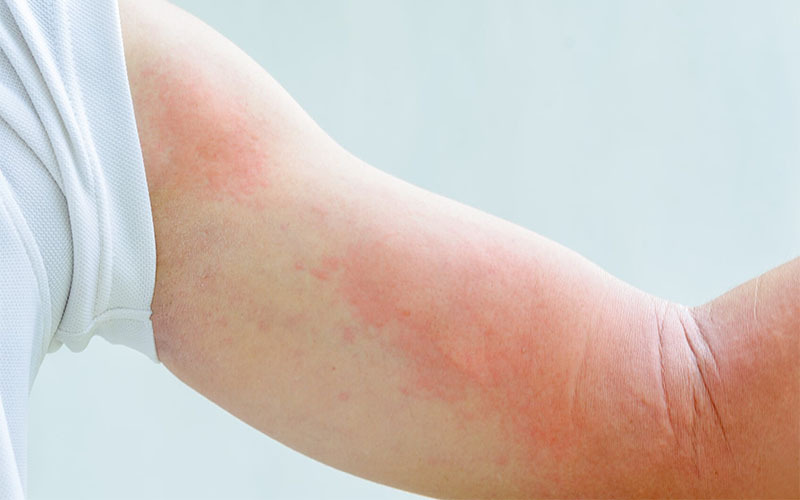 Pain and red rash in lower legs are usually the first signs. The condition doesn’t spread. It is also unlikely for signs to exclusively show up in right leg and not the left leg, or vice versa. Gout causes inflammation and redness around joints, mostly the big toe. Affected areas usually become tender, painful, swollen and reddened. This is a very dangerous bacterial infection very often confused with cellulitis. It develops in the subcutaneous layer, where bacteria rapidly spread, producing toxins that kill surrounding tissue in their wake. Patients usually experience a lot of pain, which is an important feature in telling the condition from cellulitis. See cellulitis foot pictures for illustrations. They may help with diagnosis. This is mostly because many of the conditions that can be confused with cellulitis are benign and can be treated at home. Doctors sometimes recognize cellulitis after a physical examination. A patient’s medical history and symptoms will help confirm the diagnosis. If necessary, a blood test will be taken. This is to check for the levels of white blood cells present in the blood. More white blood cells indicate infection. Other tests may include imaging with X-rays or use of a culture. Cephalexin – this drug is commonly used to treat mild symptoms of cellulitis and other bacterial infections that occur on the skin. It should be avoided by those allergic to penicillin. Vancomycin – this is a strong antibiotic, often considered when cellulitis is not responding to other antibiotics. 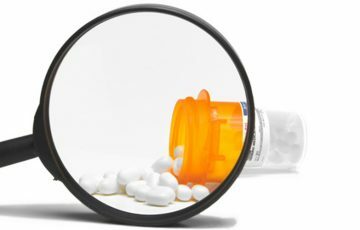 Bactrim – this is an oral antibiotic, commonly used for cellulitis that doesn’t respond to other oral medications. In fact, Bactrim can kill a resistant bacteria strain known as MRSA. Clindamycin –for patients who cannot use Cephalexin due to allergic reactions, Clindamycin can alternatively be used. It is effective for mild cellulitis. Treatment is also done with pain medicine for cellulitis and measures to manage a primary condition which may be causing cellulitis. Sometimes, surgery may be necessary to drain cellulitis abscesses or remove dead tissue. 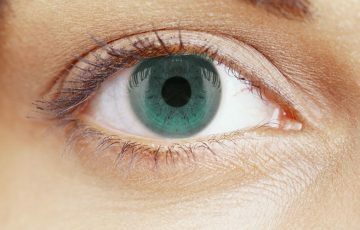 Surgery is rarely but also applicable for cellulitis eye treatment. At home, measures such as keeping an injured area bandaged, clean and free from contact may help. You can also try warm compressing and keeping the affected leg raised above the heart. Without treatment, complications of cellulitis such as MRSA, abscesses, permanent swelling and even potentially death may occur. Home remedies are often touted as the better alternatives to chemical drugs and expensive treatment options. Patients should however realize that scientific evidence supporting the effectiveness of home remedies and how exactly they should be used is lacking. Warm compress – warm compress encourages blood circulation and may also draw pus towards the surface. Coconut oil – can fight off bacteria. It also has skin moisturizing properties as well as skin soothing abilities. Apply a small amount directly. Turmeric – it is a super anti-inflammatory remedy. To use it, add a teaspoon to a glass of milk and drink, twice a day. Tea tree oil – thought to reduce inflammation and fight off bacteria. For best results, mix some aloe vera gel with tea tree oil and a teaspoon of honey. Apply directly before washing it off some hours later. Do this twice a day. 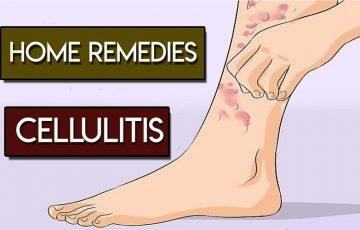 Essential oils – essential oils for cellulitis work by soothing the skin, keeping it moisturized and potentially preventing spread of bacteria. Good examples include lavender oil, oregano oil and rosemary oil. Water – it may seem strange that water is identified as a potential cellulitis home remedy. It works by removing toxins drained into the blood by bacteria.